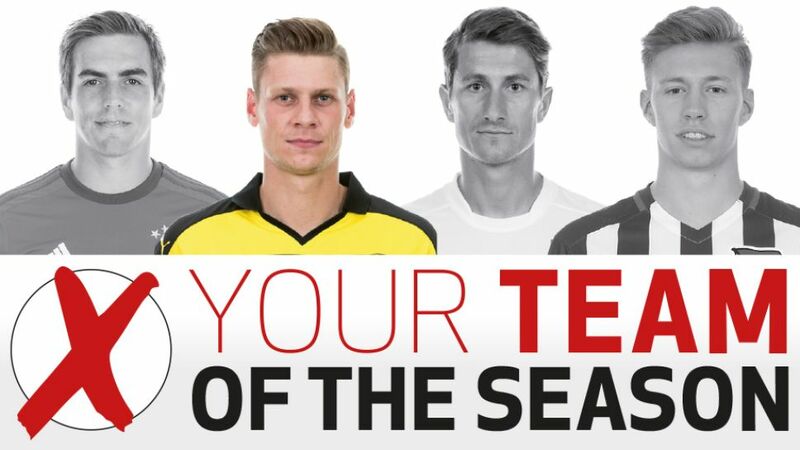 In a neck-and-neck race almost as exciting as the title tussle itself, Borussia Dortmund's Lukasz Piszczek beat FC Bayern München's Philipp Lahm to the right-back berth in the 2015/16 Bundesliga Team of the Season. The Poland international lost out to his Bayern counterpart in the @Bundesliga_EN poll, but came out on top in the @bundesliga_de ballot to scrape a narrowly superior share of the combined votes (44 per cent to Lahm's 41.5 per cent). Hertha Berlin's Mitchell Weiser was a distant third (eight per cent), with FC Augsburg captain Paul Verhaegh bringing up the rear (6.5 per cent).